​Real Madrid are confident of signing Eden Hazard from Chelsea after the Belgian recently claimed to have 'made a decision' about his future on French radio. Following ​Hazard's most recent quotes, which suggested that he has already ​made a decision about his future, ​The Mirror now report that ​Real Madrid are 'confident' of acquiring his signature this summer. The Spanish giants have made Hazard their number one transfer target are said to be willing to pay £100m to prize him away from ​Chelsea. Hazard only has one year left on his contract with Chelsea and has been reluctant to sign a new deal over the past few months, which has added further fuel to the rumours. ​The Telegraph add that Hazard is now expected to officially tell Chelsea of his wish to leave and join Real Madrid, after Real Madrid made their summer transfer plans clear. 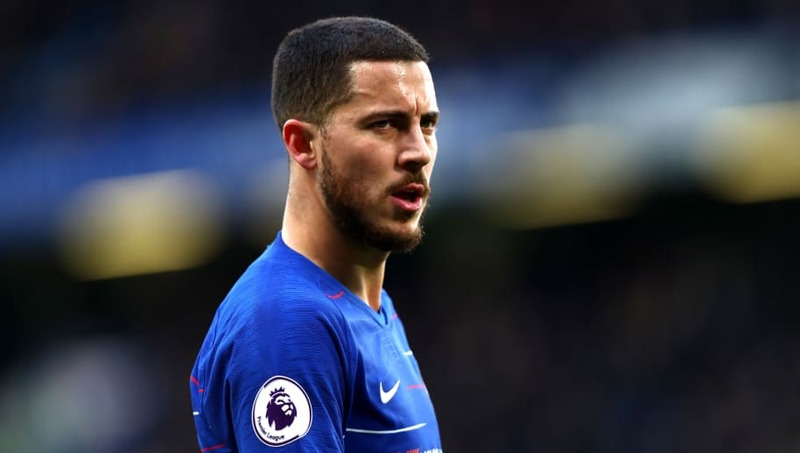 The report also notes that Hazard's bombshell interview with RMC was done some weeks ago, while the Belgian forward would have known it was not due for immediate release and has since kept fans and the media guessing as to his intentions. Chelsea boss ​Maurizio Sarri recently claimed that Hazard will be free to leave the club if he wants to, saying last week: "Eden is 28. If he wants to go, I think he has to go.